My mom was an artistic troublemaker even back in the day. Here she is stirring up the pot at the age of 18. 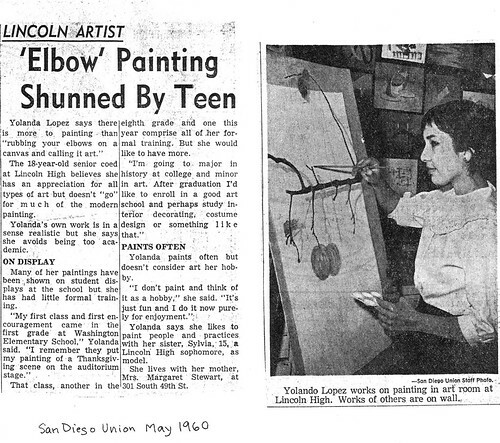 Her contempt of elbow paintings runs concurrent of some of my own opinions about art. She really is my mom! Today we went out for breakfast with Mariela and then saw Star Trek at the Empire in West Portal. I think we both shed a little tear during Leonard Nimoy’s narration at the end. Happy Mother’s Day and live long & prosper y’all. Previous postThe Return of the Great Tortilla Conspiracy, TONIGHT!